View from the Jenison Junior High parking lot. 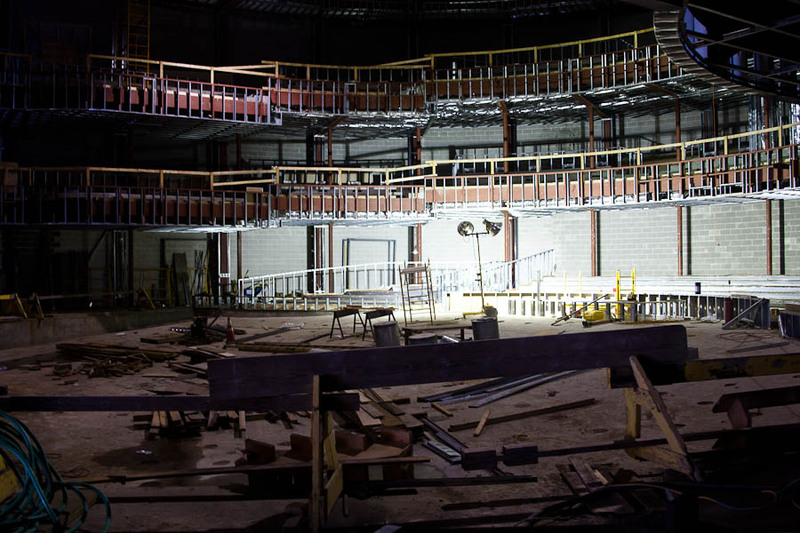 With room for 1,200 seats, hundreds of students, and millions of dreams, the Jenison Fine Arts Center is taking shape despite the roller coaster weather we’ve experienced during the past month, in particular. 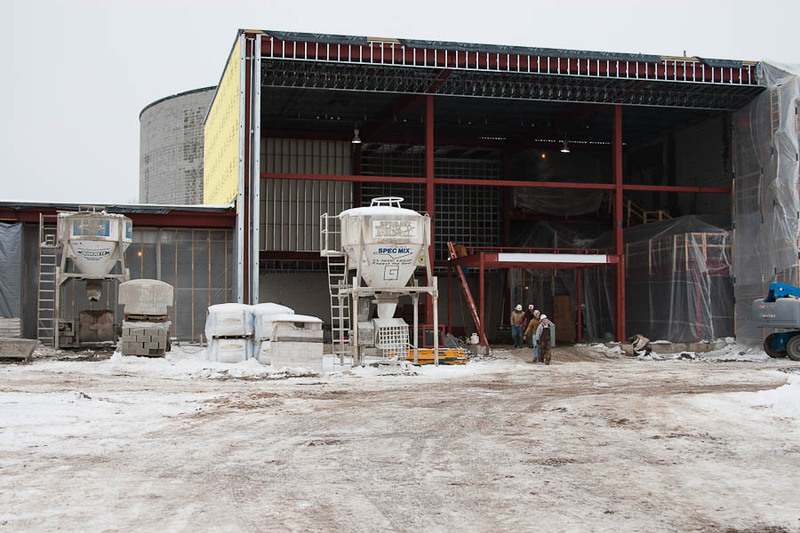 “The construction crew has been working diligently through the difficult winter months on the inside of the facility to maintain the schedule. 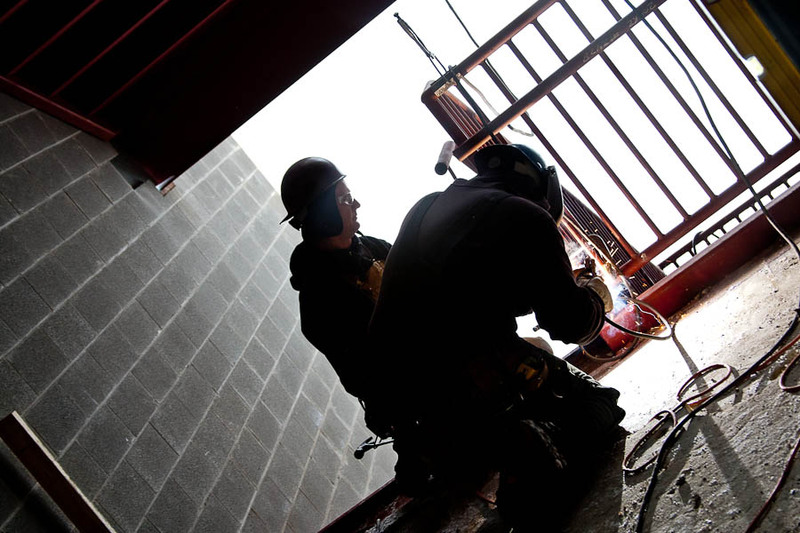 The team has kept the project on schedule for the grand opening performances in December 2013,” said Owner Rep for the project, Bill Culhane. 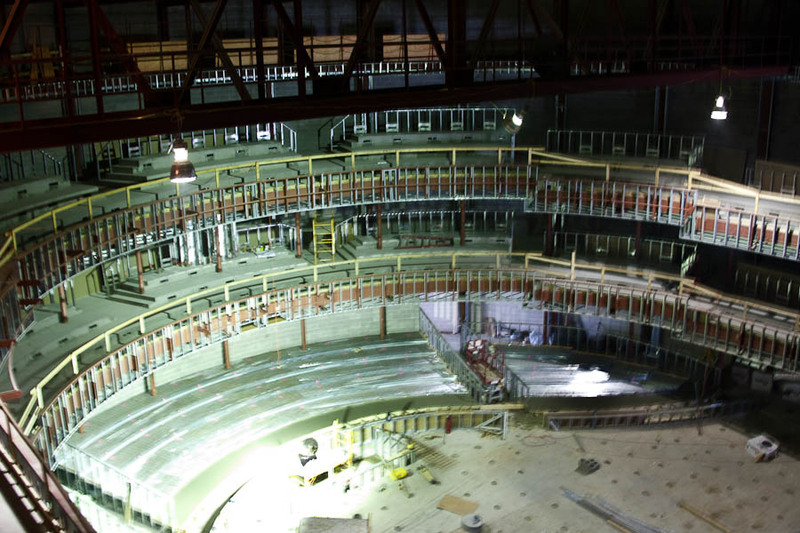 With a stage “uniquely designed with the flexibility to convert from a theater to a music hall,” the performance area remains the “heart” of the facility. However, there is much more to look forward to! 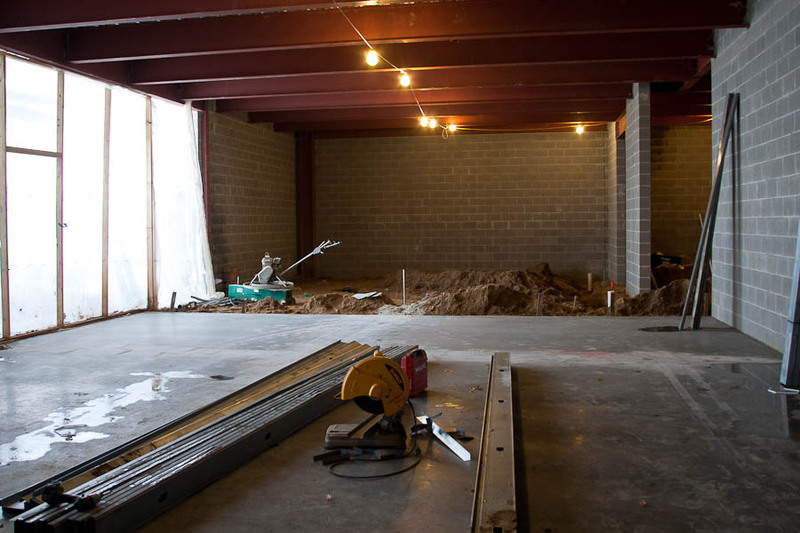 The venue will offer a “Black Box” small performance area, dressing rooms, scene shop, student art gallery, and conference room. 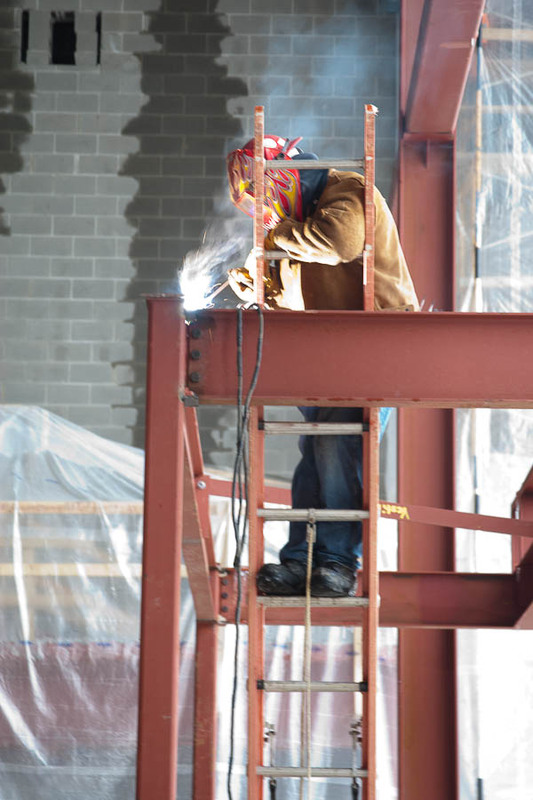 It will additionally provide a home for Jenison’s district administrative offices. 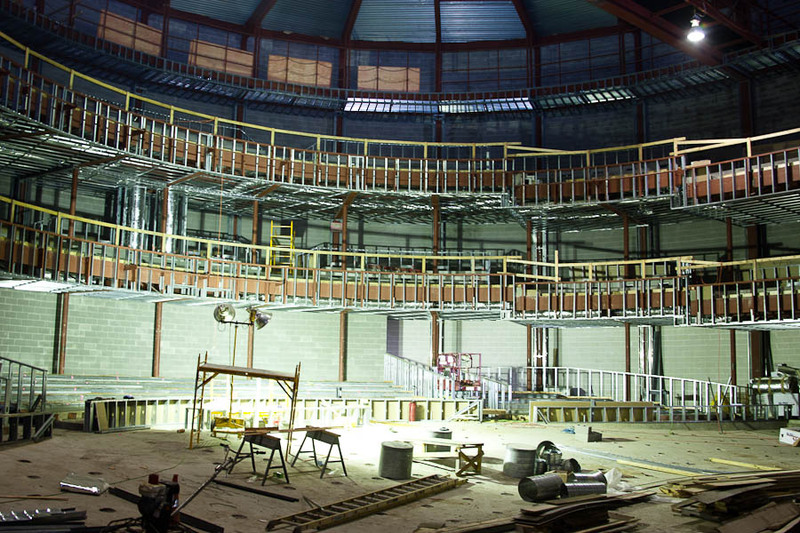 “Jenison’s new Performing Arts Center will provide the students at Jenison Public Schools with a world class performance venue to display the hard work and dedication they put into their craft,” said Mr. Culhane. 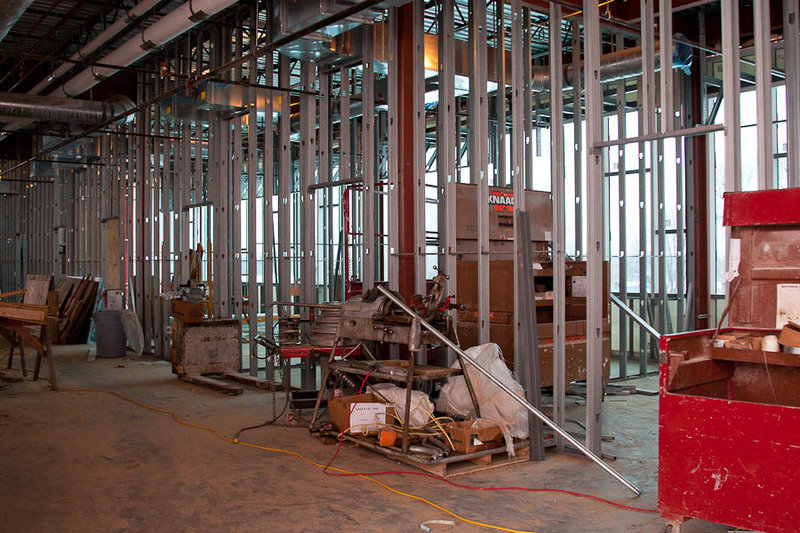 We look forward to many years of stellar student performances within these new walls! And as always, we thank the community for continuing to value the arts in Jenison. Entry area getting tooled under a welder’s torch. Our choirs will raise the rafters! Where will you be sitting next Christmas? 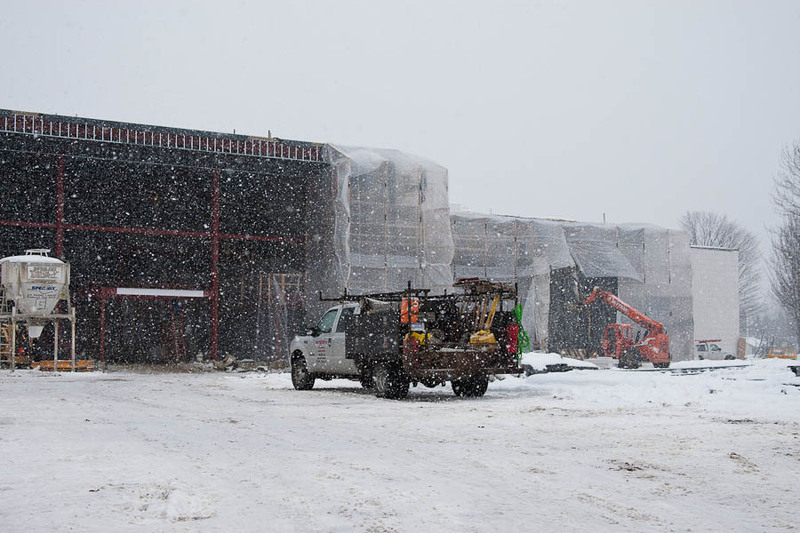 Working rain, shine…or snow storm!